PUP Announce New LP 'Morbid Stuff,' Share New Single 'Kids' - GENRE IS DEAD! Candian punk rockers PUP have announced their third album, Morbid Stuff, out April 5 via their new label Little Dipper (via Rise Records/BMG). The band recorded the album with producer/mixer Dave Schiffman and it deals with vocalist Stephen Babcock’s battle with depression. Check out the artwork and tracklisting below. 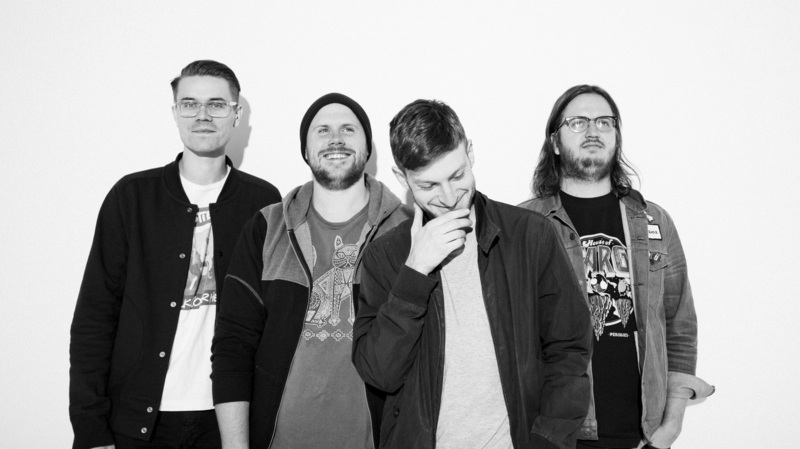 In support of the new album, PUP will launch their North American tour with Ratboy and Diet Cigs on alternate dates, in Boston, Massachusetts April 25. Shows wrap up July 3 in Santa Ana, California. Tickets go on sale Friday, January 18. Pre-order your copy of Morbid Stuff here. Also available is “The PUP Morbid Stuff Annihilation Preparedness Kit.” This pack includes a CD or limited edition colored vinyl, a long-sleeved shirt, a backpack with patch, custom band-aids, a multi=tool, a waterproof container, and more. The extra limited edition comes with a full-sized inflatable lifeboat. Pingback:Watch: PUP Share New Video 'Free At Last' Featuring Finn Wolfhard - GENRE IS DEAD! Pingback:PUP Announce 2019 Fall Tour - GENRE IS DEAD!